August is a celebration of the National Breastfeeding Awareness Month. This observance aims to empower women to commit to breastfeeding and raise public awareness about its importance in the country. Babies who are exclusively breastfed show significant development in both physical and mental aspects. Research revealed that babies who are exclusively breastfed for six months are less likely to develop ear infections, diarrhea and respiratory illnesses, and childhood obesity. Also, breastfeeding has been linked to children having higher IQ scores. On the other hand, breastfeeding helps mothers to burn extra calories brought by pregnancy. It releases the hormone oxytocin which helps the uterus to return to its pre-pregnancy size and reduces uterine bleeding after birth. It also lowers the risk of breast and ovarian cancer as well as osteoporosis. In line with the celebration, the Metropolitan Naga Water District (MNWD) Human Resource Division through the Infirmary and Breastfeeding Staff designed activities and gifts for every breastfeeding mother who visited the MNWD office, pursuant to Republic Act (RA) 10028 otherwise known as the Expanded Breastfeeding Promotion Act of 2009. 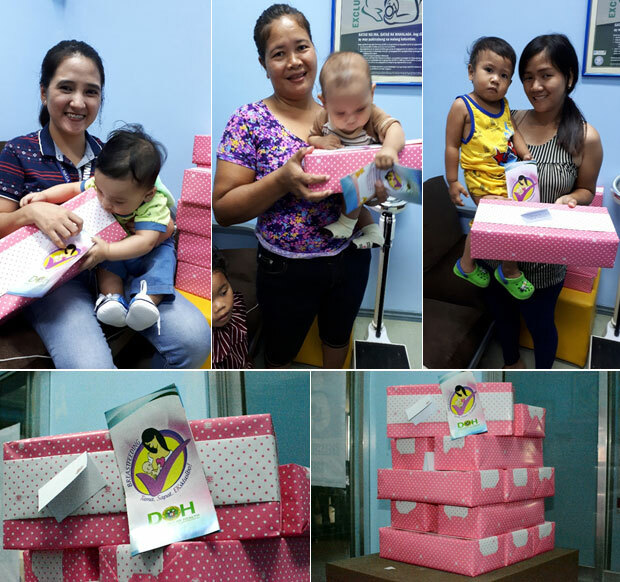 The breastfeeding mothers received items such as reusable floral shopping bags with a “Thank You” message and basket of treats with educational breastfeeding materials.